Problems with disabled families are extensively described in literature. They are relevant for the topics connected with a change as well as the stages of accommodating to the new, without doubt difficult situation. During the stages of the family “adaptation” all of the above mentioned areas are changing. Family life, when analyzed from the ecological perspective, should be seen as a source of two types of factors: on one side as health promoting, but on the other as an etiological area of​​ many diseases occurring inside the family and to its members. The factors contributing to this situation may not only include the deficiencies in meeting the biological and health needs but also those disorders that are directly related to the emotional relationships and personal relations between the family members. Parents, in order to maintain consistency of their family, need social support in every area of their operation – starting with the treatment plan, rehabilitation of the child to receiving information where to get help from and how to perform nursing duties during daily routine care. Presence of other people, their help and direct involvement in the support of families with disabled children encourages well-being, health and coping with difficult situations. Such understanding of support can be defined as a kind of social interaction taken by one or both of the participants in the problematic, difficult, stressful or critical situation. Analyzing the situation of family in the early years after birth of a disabled child, one could anticipate that a multidisciplinary staff of professionals should be involved directly with the family. A special kind of support for families with disabled children, would be the spiritual support. Mainly, it concerns situations where one needs help because of suffer and pain associated with the spiritual meaning of life and death. The quality of life with disability very often depends on the state of health of the child. Parents often take up charismatic fight for the life of their kids, trying to understand the situation. Each offered support should always be rational, reasonable and adequate to the needs of both – the parents and their disabled child – in such a way to assure full participation of the family to normal life in its local environment. For this to happen, the forms of support mentioned in the first part must be carried out very quickly. Best would be if some of the elements will appear directly after the parents are informed about their child’s disability. Structures that already exist in the Polish system of early intervention for families with disabled children provide classes in early intervention and support. Early intervention is a process that significantly contributes to the development of a child with adisability. Unfortunately, the system created to support this process has got gaps and needs to be developed. The conference “Support of a child and its family. Interdisciplinary overview” is an invitation to discuss the issues connected with the systematic interdisciplinary support to the family. Beata Cytowska, Doctor of social sciences in pedagogy, assistant of professor, employed at the University of Wroclaw at Institute of Education, Head of the Department for Education of People with Disabilities. 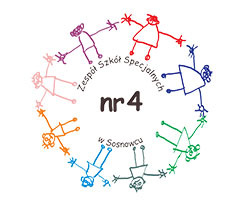 Long-term cooperation with the Lower Silesian Association for Children and Youth with cerebral palsy „Ostoja”, Deputy Director of Rehabilitation – Education for Children with Disabilities in Wroclaw – conducted by the Association. Discipline: special education, education of people with intellectual disabilities. Research interests: early intervention and early support of development of young children and support of their families, education and rehabilitation of people with profound intellectual disabilities, problems of adulthood, people with intellectual disabilities, supported employment of people with disabilities, inclusion of people with disabilities. funkcjonowania. (co-editor), Atut, Wrocław 2014. Trener pracy: dokument uwzględniający wiedzę zastaną na temat funkcjonowania trenera pracy, na podstawie polskich i zagranicznych opracowań (co-author Agnieszka Wołowicz-Ruszkowska), Polskie Forum Osób Niepełnosprawnych, Warszawa 2013. Ewa Emich – Widera M.D., PhD. Ewa Emich – Widera is the head of the Paediatrics and Developmental Neurology Clinic of Medical University of Silesia also National Consultant in Child Neurology, a longtime member of the Committee of Neurological Sciences of Polish Academy of Sciences, the member of Accreditation Committee of the Board of Polish Society of Child Neurologists as well as the honorary member of Polish Association of Sensory Integration. Her research focus mainly on epilepsy, cerebrovascular diseases and abnormal development of children. Zenon Gajdzica – professor of social sciences, teacher of special education. Research interests: education and socialization of people with intellectual disabilities, inclusive education and integration, social research methodology. Kategorie sukcesów w opiniach nauczycieli klas integracyjnych jako przyczynek poszukiwania koncepcji edukacji integracyjnej. Impuls – University of Silesia, Krakow – Katowice 2013. Editor-in-chief of the magazine Problems of education, rehabilitation and socialization of people with disabilities. 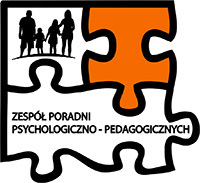 Head of the Department of Special Education at the Faculty of Ethnology and Educational Science in Cieszyn of Silesia University in Katowice. Head Manager of the Department of Special Education at the Institute of Education, University of Silesia. Conducted researches and empirical analyzes belong to several scientific disciplines in the field of social and special pedagogy as well as social pathology and law. Researches interests relate to the socialization of the young generation, sociological operation of law and the risks of marginalization and social exclusion. She diagnoses the situation of disabled people in many areas of social functioning. She analyzes the programs and proposed solutions for the integration of people with disabilities and their normalization of life. She participated in the project of the Children’s Rights Advocate concerning the impact of the amended law on the prevention of domestic violence. She is the author of 6 books and over 100 articles and chapters in scientific monographs. He is a university lecturer at the Institute of Special Education Studies at Palacky University in Olomouc. In the area of scientific work he deals with the Deaf studies and general – educational psychology, education of the deaf and hearing-impaired children, behavioral management and Deafness, psychology of early intervention and support to families of children with impairment.In these areas also works as a researcher and publishes articles and monographs. Potmesil, M., Igoni, J.S. (2014) Selected factors of early intervention in Nigeria. Potmesil, M., Liu, S. (2015) Family issues in special education. Prof. Malgorzata Sekulowicz is a head of Department of Education and Rehabilitation of Children with Intellectual Disability. Also she is director of Autism Research Center and at the University of Lower Silesia in the Institute of Special Education. Since 2010 she is a member of the Polish National Council for Higher Education. Decision of the Minister of Science and Higher Education is a Polish representative in European Network on Teacher Education Policies. The competencies and skills of teachers and the risk of burnout and its causes. Malgorzata Sekulowicz is the author of more than 80 articles and monographs.